Microsoft is rolling out a new update to Windows 10 Photos app with improvements. The updated version 2017.39081.14510 of Microsoft Photos app is available for Skip Ahead Insiders. Microsoft hasn’t added any new features to the app, however, it brings improvements to the Story Remix within the app. 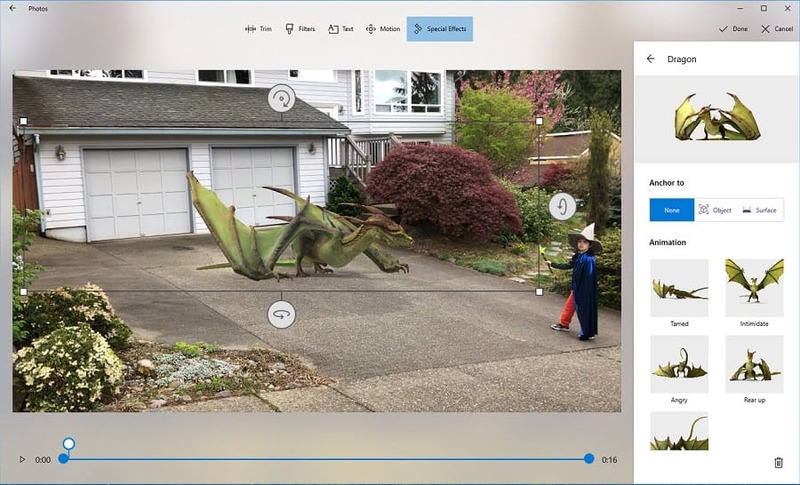 Apart from the new special effects, Microsoft has also added a feature that lets you put the 3D objects anywhere and the Microsoft Graph will automatically move the 3D object along with the person in the Story Remix. Another new improvement is the ability to remove the special effects by clicking on the new delete button. Microsoft has also decreased the time the app takes to create new videos. You can only download the latest update for Photos app if you’ve the Skip Ahead enabled in the PC’s settings. Download Microsoft Photos app for Windows 10.